Matt is a Loan Officer who has been employed with James B. Nutter & Company for over 13 years. 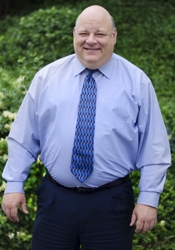 He specializes in Conventional and FHA home purchases and refinances. Matt is married with two children and FOUR (yes, four!) dogs 1 Shar Pei, 1 English bulldog and 2 Pugs. He is a Northland resident who loves calling Kansas City his home and enjoys traveling and attending all types of sporting events.